Eight information boards have been strategically placed around the town and Balbriggan coastline detailing; Water on Balbriggan Mills, Hamilton’s and the Founding of Balbriggan, The Sack of Balbriggan, Viaduct and the arrival of the railway, Life around Balbriggan Harbour, Stockings for the Queen, The Banks and Maritime Balbriggan. 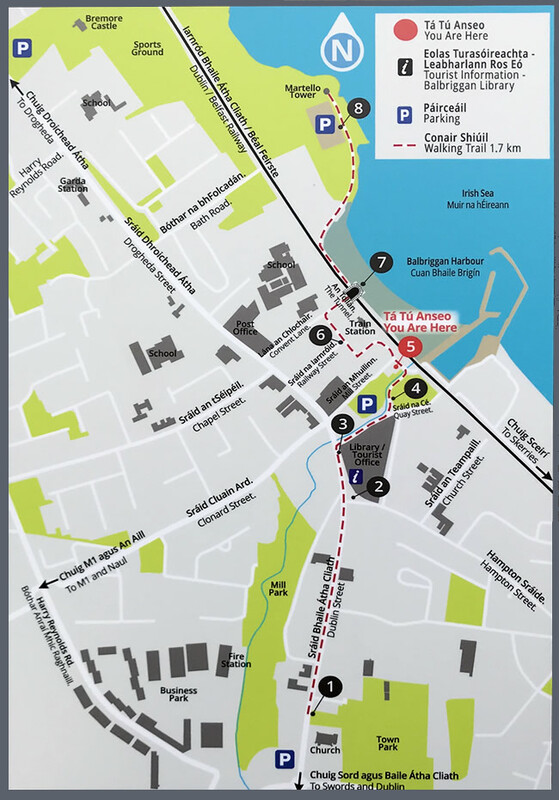 A brochure which accompanies the Trail was launched during Heritage Week and is available free of charge from Balbriggan Tourist office on George’s Square. The brochure contains a map of the Trail and illustrates the rich and varied local heritage and historical events. Beautifully designed, it proves to be an excellent document not only for tourists and visitors to the town but also for local schools. 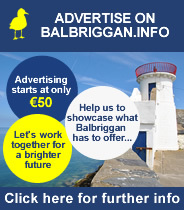 The authors of the Heritage Trail and brochure, David Sorensen and Petra Skyvova, have captured Balbriggan’s rich history and are hopeful that the project will foster and boost an interest in local heritage. Congratulations to David, Petra and the Balbriggan Tourism Committee for delivering this great resource which celebrates our town.